Last time you heard we were celebrating our first birthday. Might think we’re getting lazy? The contrary is the case! You can download the full Whitepaper here. Additionally there is comprehensive work by our co-founder Dr. –Ing. 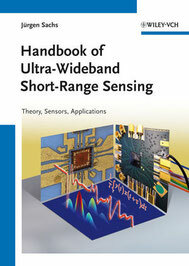 Jürgen Sachs which dives deep into the matter of Ultra-Wideband Short-Range Sensing and thus gives an in-depth view on our M-Sequence Devices. Curious? Get your copy now!